Ask God to 'enlarge our tents' (Isaiah 54:2). Pray with us for the specific issues highlighted in our news items. 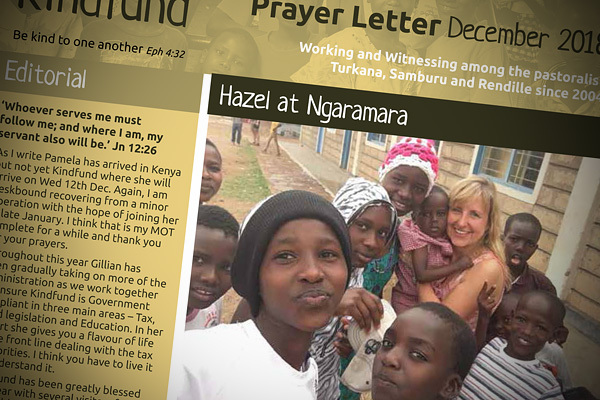 Get us to email our Prayer Letter to you five times a year. A great advantage of Give.net is that they can collect Gift Aid for UK taxpayers from HMRC on our behalf. As a charity we benefit from a low donation fee rate of 1.4% with Paypal. Direct Bank Transfer is a fast and secure way to donate to Kindfund. It would be helpful—but not essential—if you identify your lodgement or alternatively email details of the transfer to us. Within the Single Euro Payments Area (SEPA) donations can be made to Kindfund's EUR account on the same basis as the donor's national payments. If you are a UK taxpayer please remember to complete a Gift Aid Declaration Form . Set up a fundraising page to attract donations for your Kindfund fundraising effort. Our USA supporters can now get a tax-deductible receipt when giving to Kindfund. Just follow the link and type 'Kindfund' to give with Authorize.net, or check their alternative ways to donate. Kindfund heeft per 03-02-2017 een ANBI-verklaring (een Algemeen Nut Beogende Instelling) door de belastingdienst toegewezen gekregen. Dit betekent dat uw sponsorbijdrage, donatie of gift aan Kindfund fiscaal aftrekbaar is. U kunt dit controleren met het programma ‘ANBI opzoeken’ van de belastingdienst belastingdienst.nl/rekenhulpen/anbi_zoeken/. Ons meest recente jaarverslag met financieel verslag, rapportage van de uitgevoerde activiteiten en ons beleid voor het komende boekjaar kunt u hier: kindfund.com/governance/ bekijken. Er is geen bezoldiging voor bestuursleden. Zij ontvangen alleen een vergoeding voor daadwerkelijk gemaakte kosten. Meer informatie over de ANBI beschikking en het aftrekken van giften kunt u lezen op belastingdienst.nl/giften/. [As of 3 February 2017 Kindfund has been granted ANBI status by the Dutch Tax Service (Belastingdienst). This means that your sponsorship, donation or gift to Kindfund is tax deductible on your income. You can check our registration on the ANBI site belastingdienst.nl/rekenhulpen/anbi_zoeken/. Our most recent committee reports and financial statement can be downloaded here: kindfund.com/governance/. Board members receive no remuneration. All donors are eligible to attend our AGM, usually in May of each year. For further information on the ANBI decision and the deduction of gifts please see belastingdienst.nl/giften. As a member of the Fundraising Standards Board, we have made a public promise to adhere to best practice, honesty, transparency, clarity and accountability in all fundraising activity, enabling you to give with confidence. We hope that our membership will build trust and confidence in charitable giving and ultimately encourage more people to provide vital support for the children and disadvantaged of the poorest tribes living in the semi-arid areas of Northern Kenya. Should you have any concerns about the way we fundraise, we have a robust complaints process. We encourage you to get in touch with your feedback. However, if you are unsatisfied with the way we handle your concerns, you can also contact the Fundraising Standards Board directly. To make a complaint to us, please call +44(0)7746 409064 or email us at this address. Provide us with speaking opportunities in your place of work, your church or your community – please email your details or call Ken on +44(0)7802894380, Jonathan on +44(0)7738178250 or Gillian on +44(0)776170847. Talk to others about what we are doing and share our news stories using our social media links. Organise a fundraising activity making use of the fundraising pages you can set up easily at Give.net. If you are fundraising for us, please download our Kindfund Fundraising Pack which, as well as suggesting some useful ideas, will explain to you the standards we adhere to as members of the Fundraising Standards Board. Choose a Kindfund Gift Card or Christmas Card from as little as £5 as an alternative present for that special occasion. Use our Gift Cards instead of birthday presents, wedding, Mother’s/Father’s Day, retirement or anniversary presents, or in lieu of flowers. 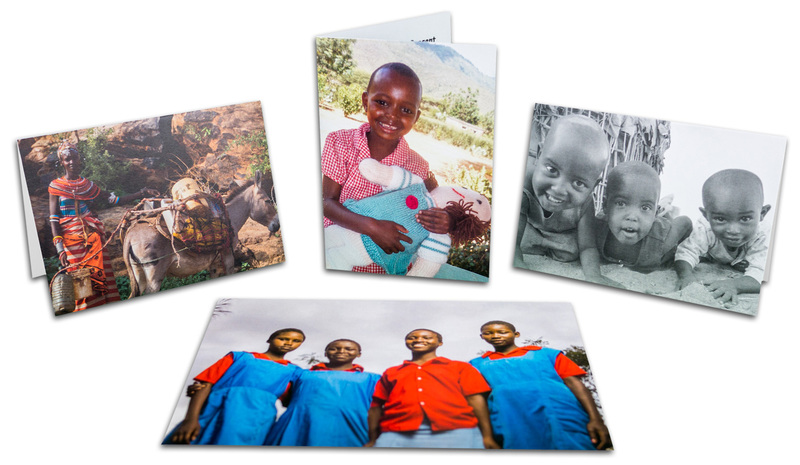 Select one of our attractive cards for the person you wish to bless and the gift will then be used to help children in need in the way you choose. Parents—remember that our Christmas cards can be the ideal gift for a teacher at Christmas! Gift/Christmas Cards are also available which will provide relief food supplies; or you may tailor the wording on the card to your specific purpose by chatting with Gillian on +44(0)7761470847 or William on +44(0)7719 662 473. Email us if you would like to know more about Gift Cards or Christmas Cards. Child Sponsorship and Regular Giving provide invaluable lifelines for Kindfund. More information is available on our Child Sponsorship page, should you wish to consider supporting us in this way. 100% of donations and sponsorship contributions go directly to our projects in Kenya (excluding Give.net fees where used). All UK/Ireland administration is provided by volunteers who meet all overhead costs themselves, or are supported locally by others. All travel expenses—including to Kenya—are covered by each individual who is travelling. Visitors to Kindfund projects must cover their own costs whilst in Kenya. Thank you for showing the love of God and for making a difference.